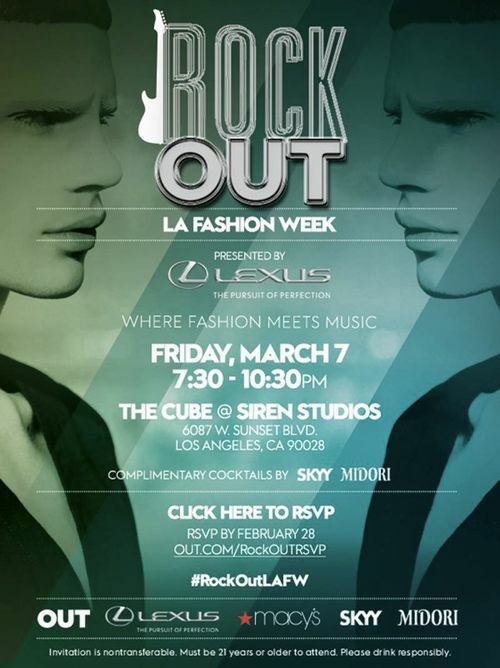 Rock Out Fashion Week LA-Where Fashion Meets Music Presented by Lexus @ The Cube at Siren Studios. 7:30- 10:30 pm. Invite only.